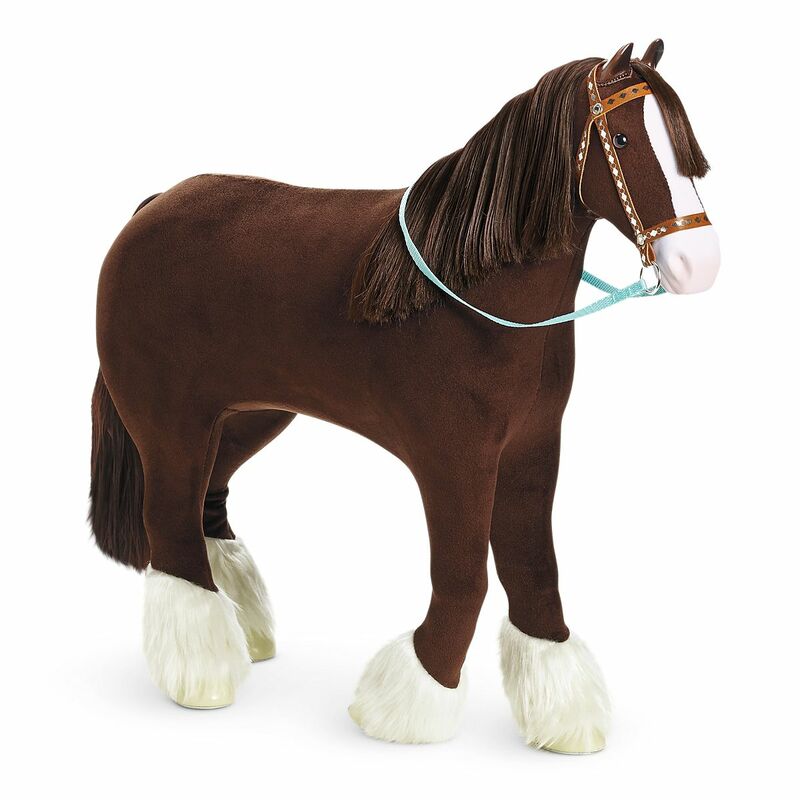 This lovely mahogany-brown draft horse can strike pretty prancing poses with its posable leg and neck for realistic play. Feathered white faux fur lies over its white hooves. Includes a faux-leather bridle with silvery diamond-shaped accents and turquoise-colored reins.